This past week was the annual Longs Peak Scottish Highlands Festival. The family loaded up and drove the two hours to beautiful Estes Park, Colorado for some historical fun. The kids enjoyed watching the dogs run the obstacle course and catch Frisbees. They really liked going to all the booths and collecting the clan stamps, although I think it was more about the candy than the actual stamps. It wasn’t until the afternoon that they got really excited. 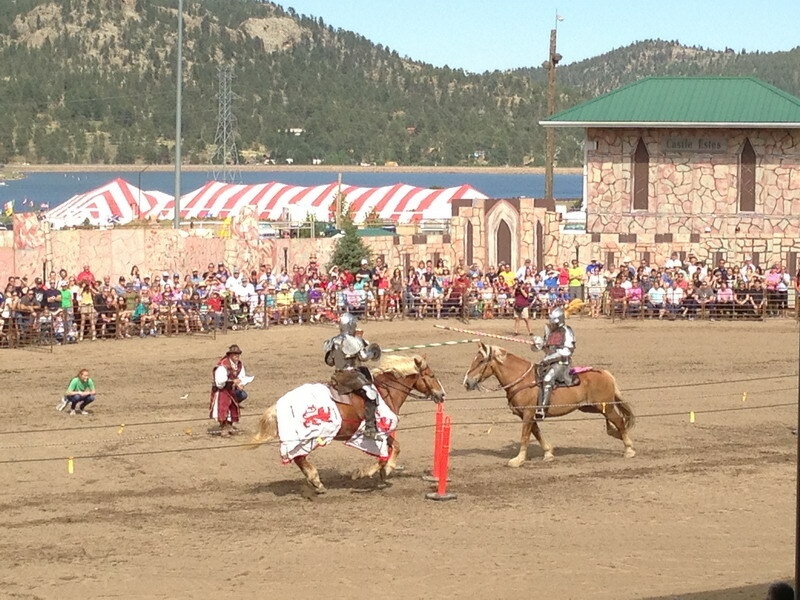 That’s right it was time for the heavy jousting! My daughter loves seeing the horses and my sons love seeing the knights smash each other. In the video below I was able to record a double unhorsing. The joust was between Ripper Moore and Ron Combe. During the first joust of the day Ripper unhorsed DJ Coburger. 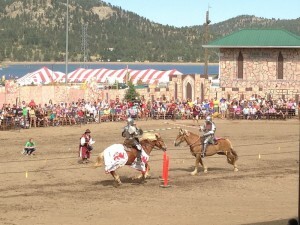 During this joust both knights hit the ground. Ron is on the far right and he was able to get up quickly. Ripper Moore, in the middle of the screen was down for about 20 minutes. And he had to have most of the armor removed before he was able to get up.